In early 2018, I built up a stake in PSG Group, a South African investment holding company. Its five largest holdings are Capitec Bank (a retail bank), Curro (a provider of private school education), PSG Konsult (a wealth and insurance advisor network), Zeder (a holding company for food and related businesses), and PSG Alpha (an early stage investment company). Except for PSG Alpha, they are listed on the Johannesburg Stock Exchange, whereby some of Alpha’s businesses are themselves listed. I first heard about PSG when one of Capitec’s founders enquired about becoming a co-investor in Business Owner in early 2016. I read up on Capitec and then PSG, initially out of politeness, but was quickly bowled over by what I learnt. When I started the fund, I hoped that a network of fellow business owners would develop and assist me in sourcing and analysing investment opportunities. It is great to see this materialising. 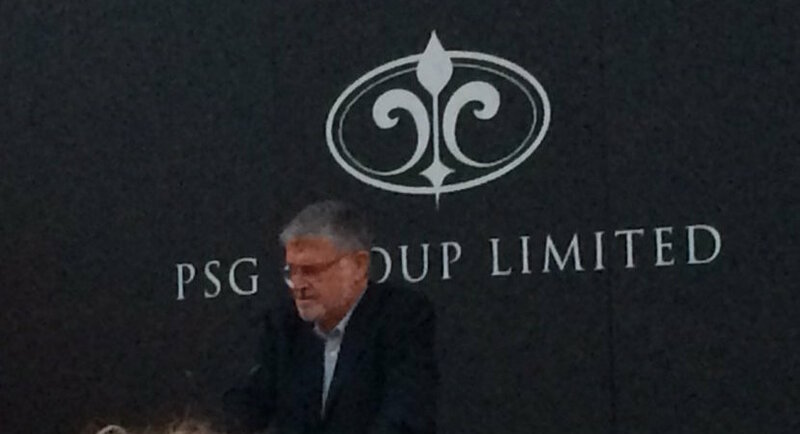 PSG began life in 1995 when Jannie Mouton bought a controlling stake in PAG (Professional Assignment Group), a recruitment agency for about ZAR 3.5m. Shortly after this, he started a stockbroking operation in PAG called PSG (Professional Securities Group). Jannie sold the recruitment business a year and a half later for ZAR 107 m, giving him his first home run. PAG was subsequently renamed PSG Group. Prior to buying PAG, Jannie was fired from SMK, a stockbroking business he founded. PAG was both a lifeline out of the funk he descended into after being fired and a new canvass to work on. PSG is his life’s work, something he movingly talked about in a recent letter when he announced he had early stage Dementia. If you are interested in the company’s history, I recommend Jannie’s autobiography: “and then they fired me”. Out of PAG grew today’s PSG Group, a company with a market value of ZAR 50 bn (€4 bn). Since 1995, PSG has compounded capital at nearly 50% p.a., an astonishing rate. This was achieved through astute financial investments as well as early-stage investments in private businesses. Three of those (Capitec, Curro, and Konsult) account for 80% of the PSG’s sum of the parts value. Today, the focus is on developing its existing businesses, and starting businesses or buying them at an early stage. In 2010, Jannie passed on the day-to-day running of PSG to his son, Piet. Jannie remains active as Chairman and largest shareholder. Over the last years, I have got to know Piet as well as senior executives at PSG’s subsidiaries well. They are talented, motivated and, most importantly, high-quality people. I could not be happier to co-invest with them. I view our investment in PSG Group as having two buckets of value: the listed companies and future value creation from capital allocation. The largest holding, accounting for 55% of PSG’s NAV, is a 31% stake in Capitec Bank. Capitec is a branch-based retail bank with four core products: Save, Transact, Insure and Credit, covering South Africans’ basic financial needs. It was started in PSG’s offices in the early 2000s. Today, Capitec is South Africa’s second-largest bank with 10 m customers and a 28% share of the employed population. What makes Capitec special is a rigorous focus on four values: Simplicity, Affordability, Accessibility and Personalised Service. If you are wondering what “Accessibility” means, it literally means access – prior to Capitec, lower-income customers had to wait an hour or more at peak hours to use an ATM or be served in a branch if they were taken as customers at all. The second largest investment is a 55% stake in Curro, accounting for 14% of NAV. Curro builds and operates private schools. It was started in 1998 by Chris van der Merwe with 28 school children in a church vestry. PSG became the largest shareholder in 2009 when Curro had just three schools. Today, it has 138 schools on 59 campuses with over 52’000 school children. Curro brings affordable education to middle and higher income families who are underserved by the existing school system. Its school fees start in Curro Academies at ZAR 1’700 per month (just over €100). For this, the pupil gets a first-class education in a school with modern academic and sporting facilities. The third largest investment, roughly equal in size to Curro, is a 62% interest in PSG Konsult. It has its roots in the broker set up in PAG. Konsult provides wealth management services to affluent South Africans. It has 784 advisors working out of 211 offices. It also has an asset management business and a commercial insurer. A key element of Konsult’s success is decentralisation. The branches keep 70% of their revenue and have complete autonomy over how they run their business. For its 30%, Konsult takes over back-office tasks, allowing the advisors to focus on their customers. Other important holdings of PSG Group accounting for roughly 20% of NAV are Zeder, PSG Alpha, Dipeo, a BEE (Black Economic Empowerment) investment fund owned 49% by PSG, and PSG Capital, a corporate finance and advisory boutique. The second bucket of value is PSG’s ability to allocate capital. Characteristics of all its investments are easy-to-understand businesses; large markets, which are underserved by incumbents; independent and talented operating managers; differentiated business models; and a South Africa focus. I expect this playbook, that has served PSG so well in the past, to continue to do so in the future. PSG has a promising pipeline of earlier stage investments in PSG Alpha, including Evergreen (retirement villages), Energy Partners (solar and other energy assets), and FutureLearn (distance learning), and no shortage of new investment proposals given its wide network and first-class reputation. The Moutons: I see in the Mouton family a committed owner with a deep love for PSG. This reduces the risk of bureaucracy, waste, politics, wrong incentives and all the other things that blight the average business. It is a pleasure to invest alongside them. Widening Moats: PSG’s businesses enjoy widening moats. For example, Capitec is growing faster than its rivals, building both scale and customer loyalty. Curro can continually improve its curricula based on a feedback loop from its 138 schools. Most importantly, the PSG’s ability to allocate capital opportunistically constitutes a widening moat. In contrast to a one-product or service company, it can allocate capital to what the most promising business opportunities, constantly upgrading its business mix. Growth: PSG can grow within its listed businesses. For example, Capitec has just 2.7% of the consumer credit market in South Africa. Curro provides schooling to just 0.4% of school-aged South African children. Within its unlisted businesses, I am hopeful that at least one will become a substantial business over time. Evergreen and Energy Partners are the most promising prospects, in my opinion. Culture: PSG has a strong culture, the foundation of which is decentralisation or what Jannie terms “Ultimate Empowerment”. It is incredibly difficult to create a culture where people have authority and responsibility whilst at the same time maintaining strong controls. When it works, it unleashes human potential. Capital Allocation: The company allocates capital well. Most importantly, this is based on its culture, organisational abilities, and reputation as opposed to the brilliance of any one individual. As such, it should persist over time. Purpose: All of PSG’s businesses are infused with a strong sense of purpose, such as providing ordinary South Africans access to financial services or a decent education. They serve to make the country better and more prosperous. This creates a win-win-win between PSG, customers, and society. South Africa: You may have been disconcerted to see a South African company in the portfolio. There is a drumbeat of negative news in South Africa. The advice of the locals is to get your capital out, not in. However, I like PSG because it is in South Africa, not despite it. To an investor, a scarcity of capital is a plus, not a minus. PSG is uniquely adapted to the environment there given its experience, network and reputation. Most importantly, the underdeveloped nature of the economy creates the opportunity to build companies where the State or big business has failed ordinary South Africans, such as banking and schooling. Such opportunities are scarcer, by definition, in developed markets. PSG is what Nicholas Taleb would term an anti-fragile business. The tougher things get in South Africa, the more opportunity for PSG. I first visited Piet in Stellenbosch in 2016. I did not buy then as I had not known the company long and the price was not right. The passage of time took care of the first objection and a double whammy of bad news early in 2018 took care of the second. Through no fault of its own, PSG got caught up in the Steinhoff debacle. Steinhoff had a large stake in PSG that was placed in the market in January. The expectation of the placement depressed PSG’s share price. Shortly after the placement, a short seller published a critical report on Capitec. This depressed the share price further. The report questioned the integrity of Capitec’s accounts and hence the people running the bank. I have had the fortune to spend time with Capitec’s CEO Gerrie Fourie (pronounced “HGerrie”, not “Jerrie” as I learnt to my embarrassment in front of several hundred people at PSG’s shareholder meeting). 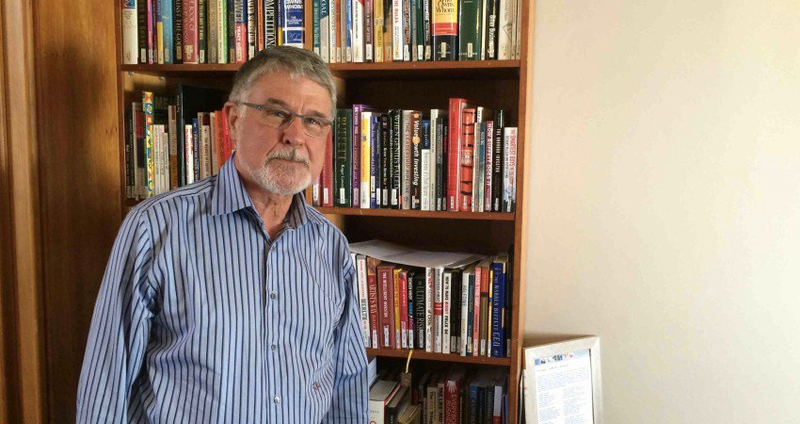 Gerrie is mission and process driven in equal measure. The opportunity to bet on his integrity is my definition of a fat pitch. For our stake in PSG, we paid around 20x forward after-tax recurring earnings. For that, we got the rapidly growing businesses in the existing portfolio, one of which (Curro) only modestly contributes to earnings due to losses at newly opened schools, and the future value creation from the early stage businesses, some of which are in PSG Alpha’s portfolio and some of which are yet to be bought. 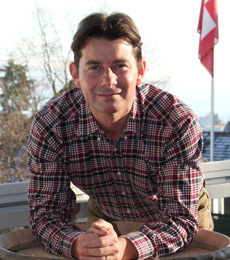 Rob Vinall is the proprietor of the Swiss-based independent fund management business RV Capital. His investment universe is worldwide, predominantly in listed equities. Concentration in single stocks is high with the top three holdings typically accounting for 50% or more of fund assets. His investors are generally private individuals, family offices and endowments.